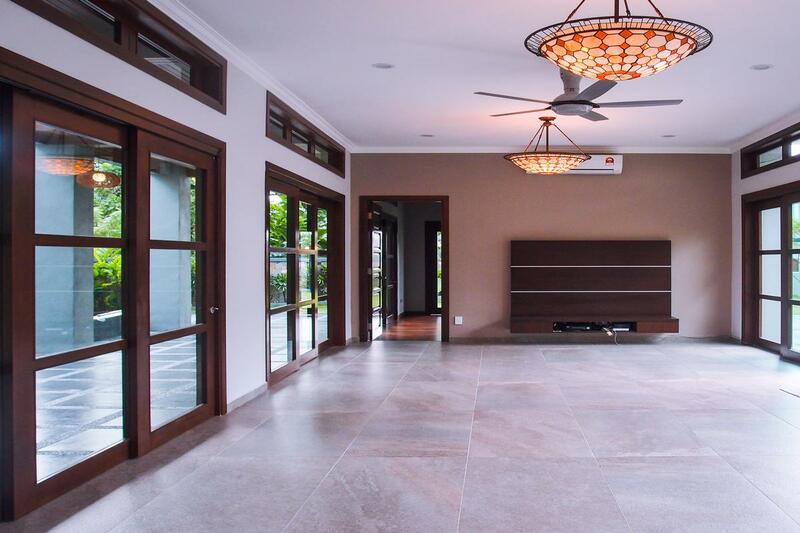 This newly built, stylish residence is nestled on a large piece of land in a desirably tranquil cul-de-sac located in the green zone of Jalan Gasing. 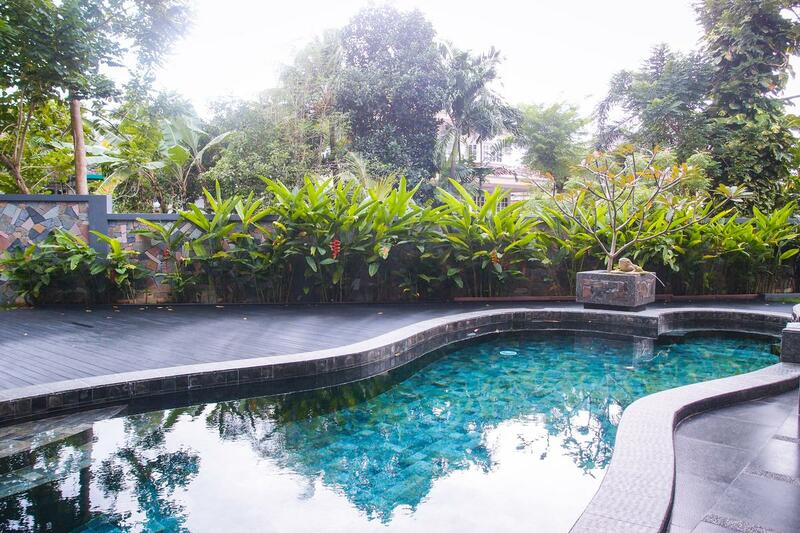 The area is walking distance to Bukit Gasing forest park which is a hill and a green oasis surrounded by dense civilisation right at the border between Petaling Jaya and Kuala Lumpur. Cool, calm and sophisticated with a youthful edge, this functional home is enveloped in light and comfort. 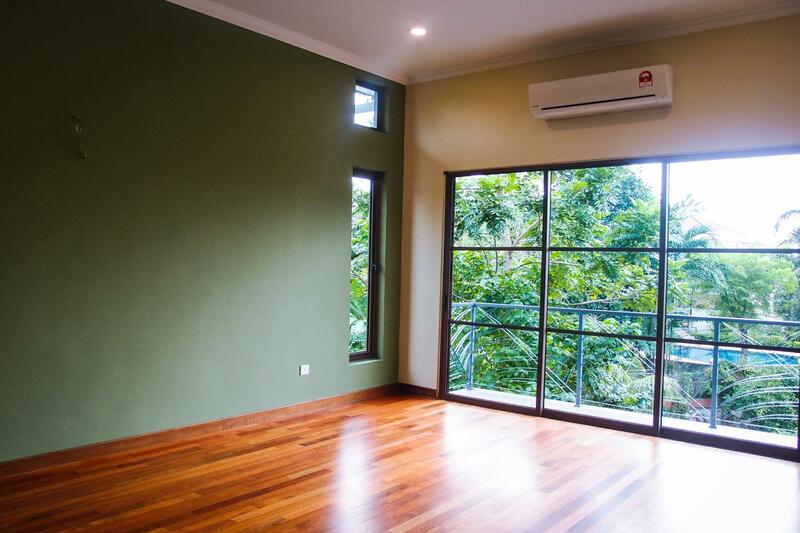 Crisp white walls, timber floors and high ceilings create a style of green living captured through the extensive use of glass. 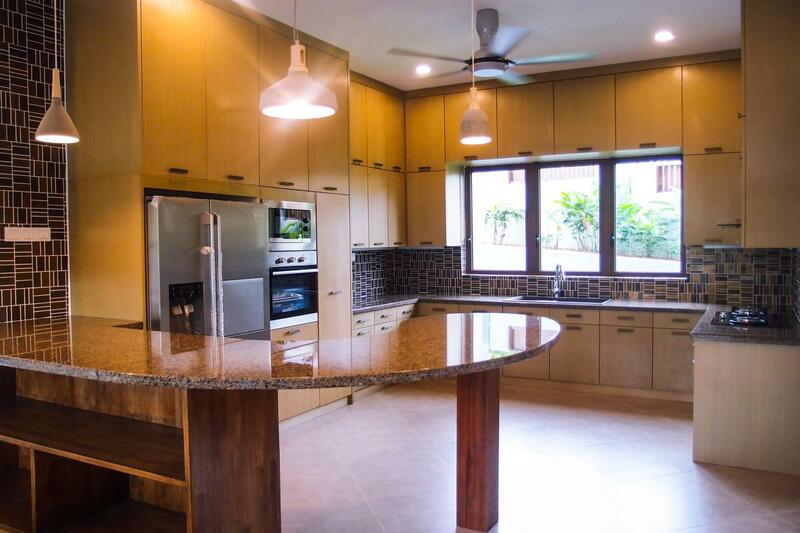 This property has a land size of 11,800 square feet and a built-up of 6,500 square feet. 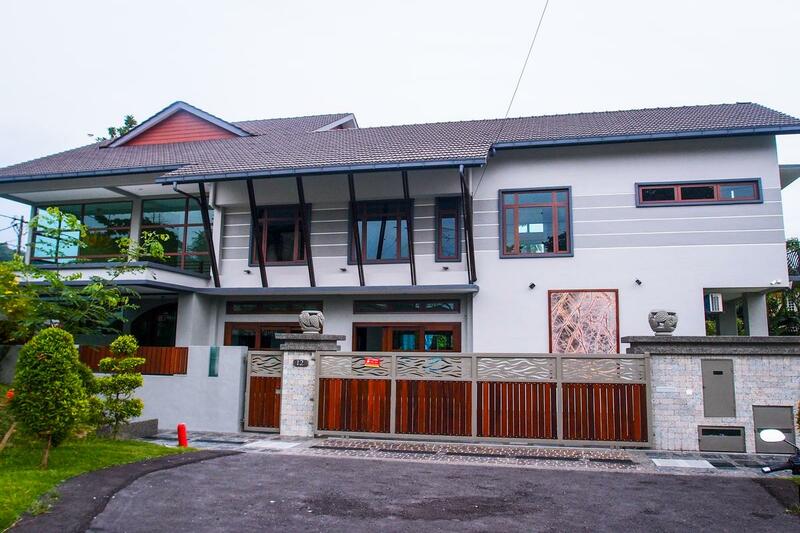 This house reflects the personality and taste of those accustomed to the best in quality design, finishes and lifestyle. It comes complete with two living rooms, two kitchens, a dining room, 7 en-suite bedrooms and a very large games room, all of which have a view of the swimming pool. It also has a garage space large enough for 7 cars. This house retains the value of living, while being conveniently close to shops and schools. 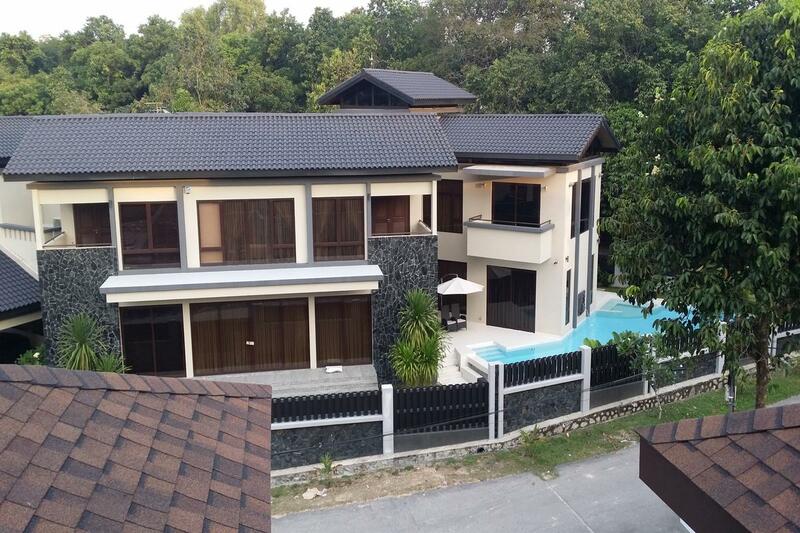 This quiet residential area is served by 24 hr security.